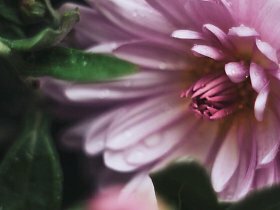 We're here to help carry the burden of arranging a funeral for a loved one or friend. So feel free to get in touch and we will endeavour to carry out your request with dignity and understanding. Successors to M & J Williams (established in 1850), A C Lambert & Son was started by the late Arthur Campbell Lambert and his late son Tony, who took over from Williams in 1968 after a close working relationship and friendship that had lasted for many years. All the relevant skills and experience passed down since 1850 are used to help families at their most difficult time. Today the business is run by Tony’s sons Andrew and Philip making for a true family run firm. A firm built on traditional skills and ethics. We can make the coffins, we letter and fix all the memorials we sell and we even dig the graves when we can. We don’t just subcontract, we do the work. We would be honoured to work for you. We understand that no matter what the situation, preparing for a funeral is a tough and emotional time for everyone involved. That’s why we promise you that all our team here will endeavour to help you, your relatives and any other parties that are effected by a loss. We’ll answer any questions you may have, and guide you through a difficult period giving any advice and support we can offer you. Feel free to call us on 01492 581 072 and our experienced staff will help you as best as they can. 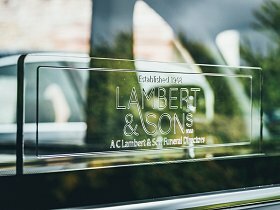 Lambert & Sons are here to help you and your family through this process, from advice and guidance, funeral arrangements through to organising headstones. We can help you prepare for both the emotional burden of your funeral and the financial impact it could have on your loved ones. Lambert & Sons can help create a range of memorials from traditional headstones. We can also help in the renovation and upkeep of exising memorials. 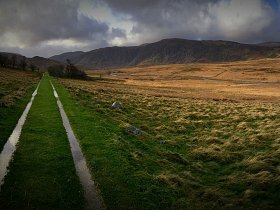 Advice on coping with the loss of a loved one, registering a death certificate, and helpful literature to download. The finest funeral vehicles available. We provide you with the best possible service with vehicles to match.